On the National Register of Historic Places, the school was built in 1911 and met the educational needs of the community for almost fifty years. 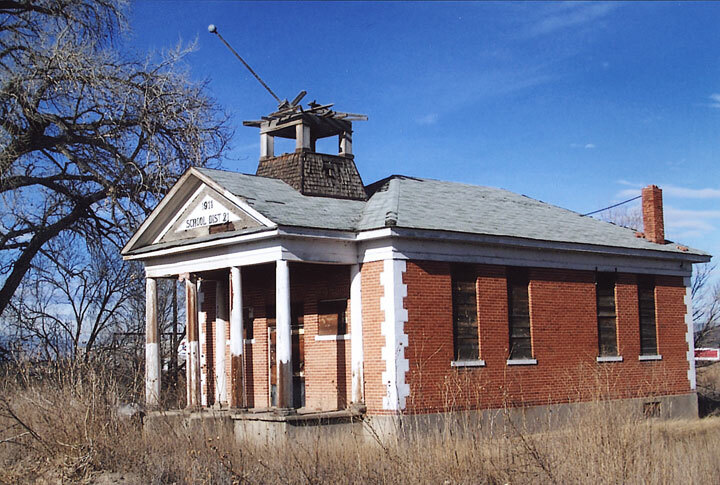 The building is reported to be the last remaining rural brick schoolhouse in Weld County. The Daniels family immigrated to the United States from England, via Canada, in the mid 19th century and settled in Weld County well before the Town of Milliken was founded in 1907. By that time, the Daniels had become old-timers in the community, and donated a parcel of their land for a school. The school bell tower has been restored and the ornate columns supporting the portico have a fresh coat of paint with capitols replicated from the originals. Future plans are to use the building as a community center, renting it out for meetings, receptions, reunions, etc. There is also a teacherage on the property in good condition that might also be restored.